Men and especially Women of all ages love ruby rings and likewise, ruby rings complement the hands of all types of females. The beauty of natural ruby rings lies in the gemstone that sits atop these rings. Rubies belong to the same mineral family like sapphires but their bright red color distinguishes them from sapphires. Apart from their bright beauty and attractiveness, rubies are famous gemstones because of their durability, gleam, solidity, and rarity. Large transparent rubies are rarer than diamonds, making them all the more precious. In many cases Ruby Gemstone Prices are more than Diamonds. Additionally, a ruby is a gem of nobility and royalty, and a woman wearing a ruby ring feels precious, significant, and elegant. All throughout history, this fiery and captivating gem has been celebrated as a royal and special gem that surpasses all other gems as the king of Gemstones. In ancient times, rubies have been associated with the sun, for their bright, fiery, and gleaming properties. 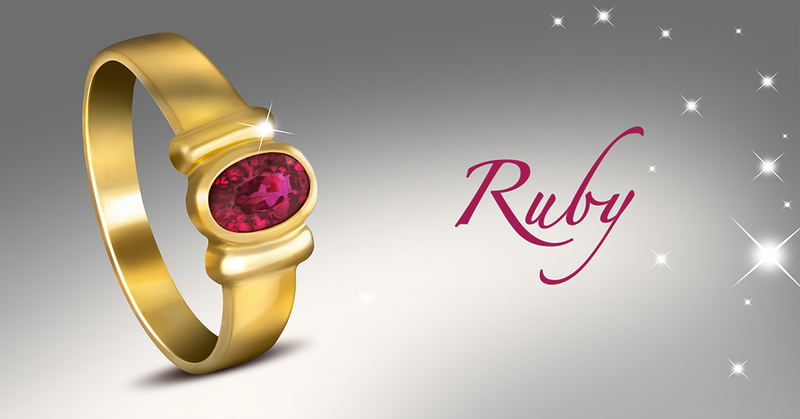 To this day, this definition of rubies stands true and they are special in ways more than one. A natural ruby ring holds all these characteristics and so much more. They make for fashion accessories, tokens of love and commitment, classy gifts, and symbols of royalty. Ruby rings come in many hues of red, sizes, and shapes but no matter what type is worn, they all look beautiful and sophisticated. From young women to old grandmothers, a natural ruby ring shines on their hand like the proud crown of a queen. The rich velvety tones hold an irresistible charm. The onlooker is drawn as if it was a magnet and that is what it is! It is a splendid natural unheated and untreated ruby from Mozambique from the lot Arunima 2012. At 1.02 carats, this ruby has a lovely enticing deep vibrant reddish pink color. Blessed with great clarity and luster, the fire in the belly of this stone is visible and the energy palpable. This oval cut beauty has all the trappings of a superior jyotish gem.